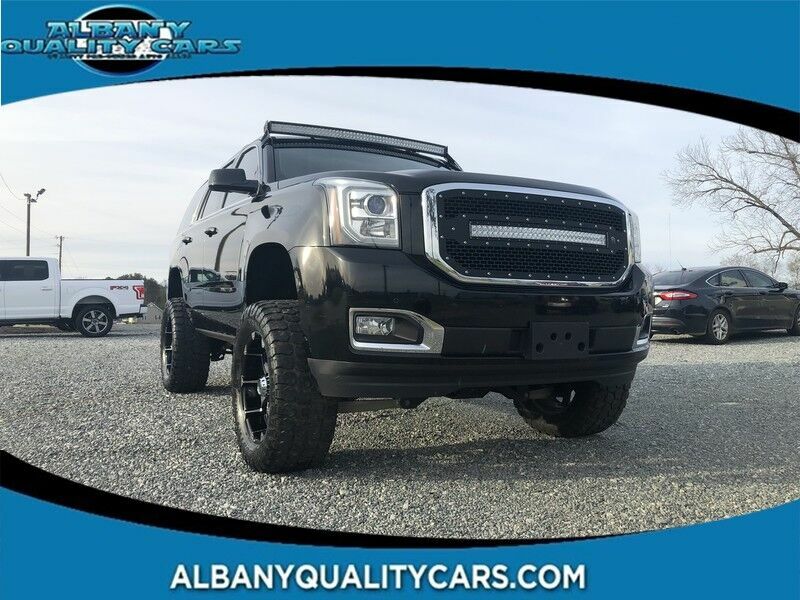 This 2015 GMC Yukon SLT is proudly offered by Albany Quality Cars Drive home in your new pre-owned vehicle with the knowledge you're fully backed by the CARFAX Buyback Guarantee. This GMC Yukon SLT defines excellence in an SUV. It has the convenience of limitless boundaries paired with city sophistication. You deserve a vehicle designed for higher expectations. This GMC Yukon delivers with a luxurious, well-appointed interior and world-class engineering. Simply put, this Four Wheel Drive is engineered with higher standards. Enjoy improved steering, superior acceleration, and increased stability and safety while driving this 4WD GMC Yukon SLT. More information about the 2015 GMC Yukon: The GMC Yukon exists primarily as a people carrier, albeit a much more rugged one than any of the minivans that litter the road. With three rows of seating, powerful engines and a truck based chassis with good ground clearance, the Yukon excels at taking anyone anywhere. Its secondary mission is one of luxury, the Yukon can be outfitted with enough options to do a credible impersonation of a limousine if need be. Everything from sumptuous leather to state of the art rear-seat entertainment systems can be had on the GMC Yukon. Prices start at around $46,000. This model sets itself apart with rugged truck-based chassis, Spacious interior, luxurious interior appointments available, and three rows of seating "OUR LOW OVERHEAD ALLOWS US TO SELL FOR LESS"